I’m often surprised at the widely varying quality of domestic Standard Terminal Arrival procedures. The name makes for a good acronym (“STAR”), but from an aviator’s perspective there’s precious little about them which is standard. Some are simple and pilot-friendly, whereas others can be downright awful. There are reasons why each STAR is set up the way it is. 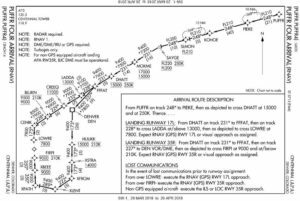 These procedures must interface with both the enroute structure (aka airways) and the terminal environment while respecting terrain, airspace, and other such limitations. And you’d think between satellite navigation and modern avionics, it would be possible to fly just about anything with ease. Anyone who flies a business jet is undoubtedly familiar with the WILKES-BARRE FOUR arrival. Most of us who utilize this procedure are headed into Teterboro (KTEB), but it also serves a number of other greater New York area general aviation airports, including Morristown, Linden, Princeton, Somerset, and Solberg. To me, the WILKES-BARRE FOUR has always been the penultimate example of a poorly designed STAR. It’s almost as if whoever conceived this procedure was unaware of (or chose to ignore) the realities of operating a high performance turbojet. The procedure has arriving aircraft flying east, and in this part of the country tailwinds are often quite high at altitude. In fact, they often increase rather than decrease as we descend. I’ve seen more than 150 knots on the tail while being sent direct to HOXIE, STENT, or the Wilkes-Barre VOR. You can probably already see the first problem: my 460 knot true airspeed has combined with the tailwind to give me a ground speed of more than 600 knots. That’s nearly 700 mph. Slick airplanes don’t want to “go down and slow down” at the same time, and there’s precious little drag on a Gulfstream. Not only is the procedure itself a problem, but the way it’s used by ATC amplifies the difficulty. Due to the quantity of arrivals into Newark, JFK, and La Guardia, we’re almost never allowed to fly anything like an optimized descent profile. Instead we’re given descent clearance either very early or very late. You’d think the heavy traffic and high tailwinds would call for the WILKES-BARRE FOUR to be one of the more precisely designed and utilized STARs in existence, but it seems to be the exact opposite. Instead, we’ll sometimes be held high until well past a normal top-of-descent point and then instructed to cross MUGZY at 6,000 feet. There have been plenty of occasions when even with the power at idle and the speed brakes deployed for the entire seven mile vertical descent from cruise altitude, I still cannot make the 6,000 foot restriction because we’ve got to slow to 250 knots prior to descending through 10,000 feet. While I understand the challenges controllers, airspace designers, and traffic managers are dealing with, there are limits to what an aircraft can physically accomplish, and this arrival procedure often pushes those boundaries on a regular basis. I’ve had to use the words “unable” more often on the WILKES-BARRE arrival than any other procedure I can think of. A much better STAR: the Puffer Four arrival into Centenntial Airport. The polar opposite of the WILKES-BARRE are procedures like the PUFFER FOUR arrival into Denver. This STAR has a variety of measured step downs, and it slows the aircraft to the 250 knot speed limit before pushing through the 10,000′ barrier. If anything, it slows the aircraft a bit too early, although with the turbulence generated by the Rockies, it’s often a welcome restriction which feels tailor-made to the prevalent conditions for that area. I’d also note that this procedure allows for both north and south arrivals. Some STARs are just a mystery. Not so much in how they look on paper, but in how they’re used in real life. As evidence, allow me to present the LYNXX EIGHT arrival procedure into Van Nuys. 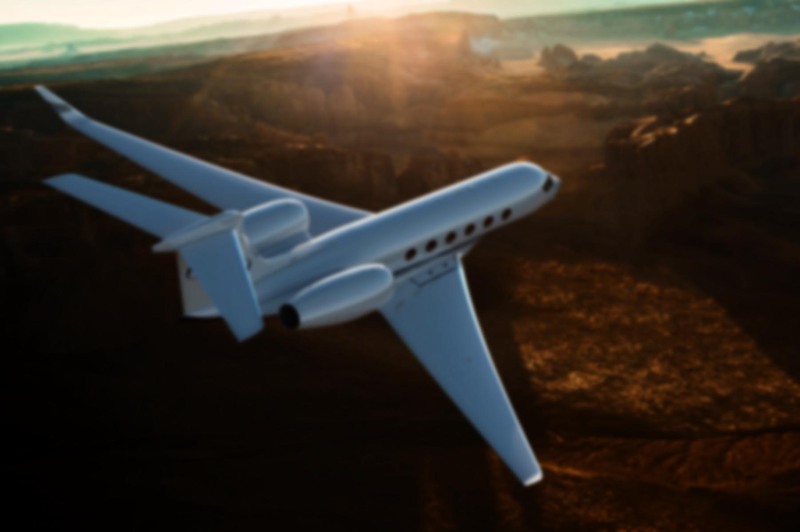 VNY is the west coast equivalent of Teterboro — the corporate jet and charter hub for the greater Los Angeles area. 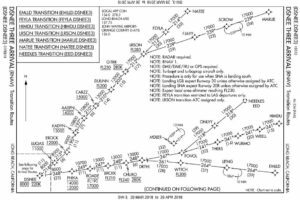 I’ve flown this procedure a hundred times, and not once have I ever flow it as charted or been cleared to “descend via”. Even at 2:00 a.m., the controller will still given direct-to various waypoints and verbally provide each altitude change, often in 1,000′ increments. I’m sure there’s a reason for it — probably north and south crossing traffic between the high desert and Los Angeles basin — but if this is to be the case, why bother designing or assigning this STAR at all? I almost always get cleared to fly this arrival as published and descend via. I doubt the issue can be blamed entirely on crowded metropolitan areas with demanding layers of airspace, because one of my favorite arrivals is the DSNEE THREE arrival into my home field, John Wayne Airport in Orange County, CA. I’ve almost always been cleared to descend via, and the arrival navigates the high terrain around Palm Springs as well as the crowded LAX arrival corridor and other Socal airspace with both elegance and ease, providing a beautiful transition into what’s usually a visual approach for runway 20R. I always end up wondering why more STARs can’t be like that, both in how they’re designed and used by air traffic control. If a STAR is awkward and inefficient for the pilot, it’s probably no prize for the guy on the other side of the radio either. If there’s one thing I’ve learned, it’s that STARs are like Forrest Gump’s box of chocolates: you just never know what you’re going to get. Great stuff, Ron! If it helps, they can’t issue “descend via” on the LYNXX8 because it doesn’t contain any crossing restrictions, only ‘expect’ altitudes. 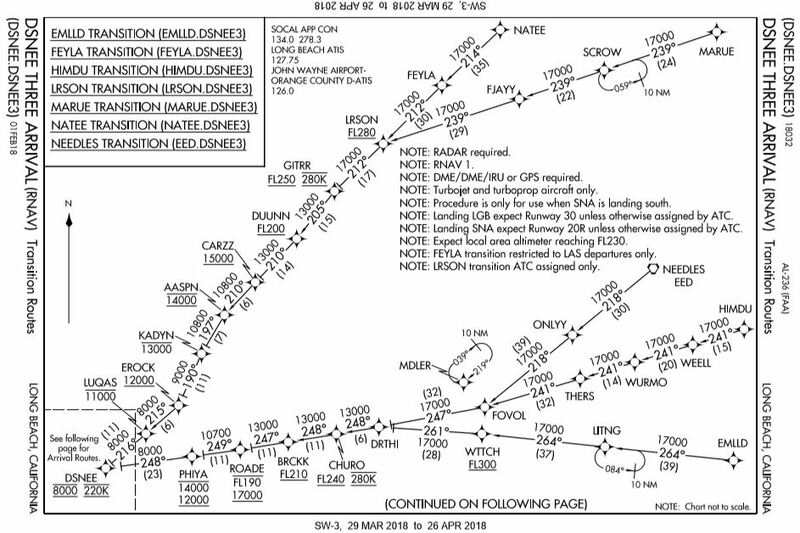 The DSNEE arrival is one of the new RNAV STARs designed for the Socal Metroplex overhaul. 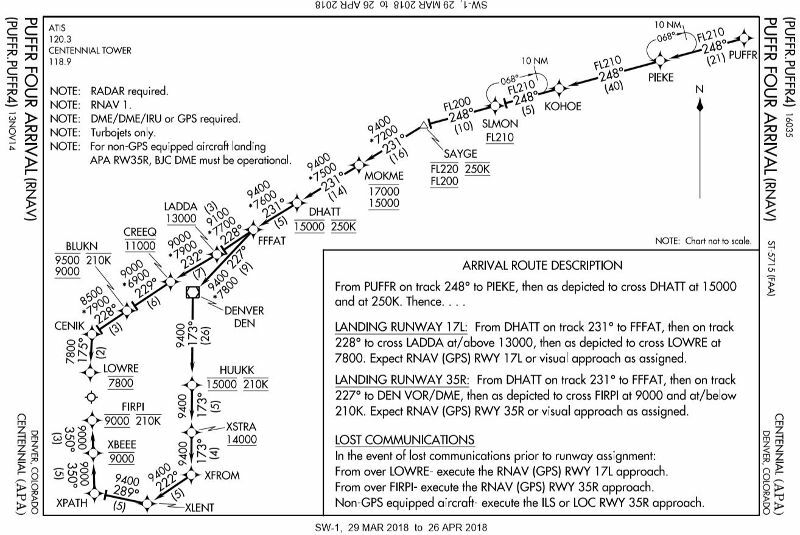 The JANNY arrival into BUR/VNY is now RNAV and supports descend via. Thanks, Keith — and good observation about the “expect” part! On the LYNNX8 I’ll rarely even fly the actual track. 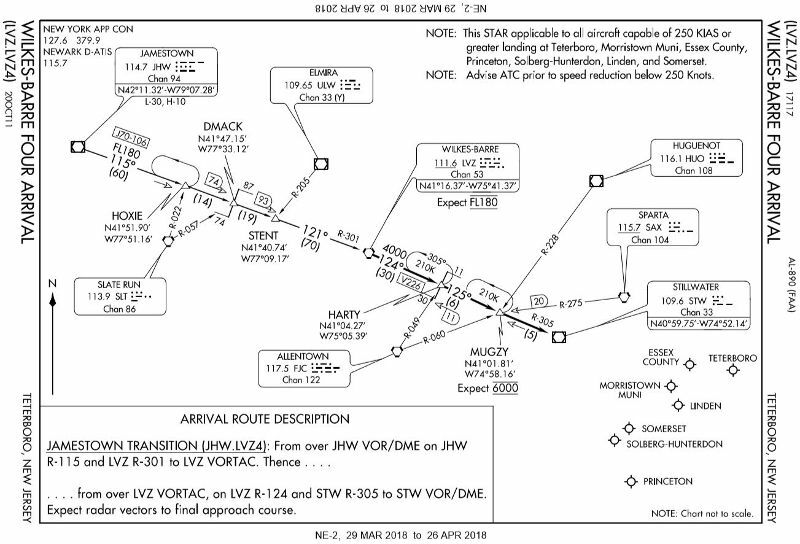 That’s something it has in common with the WILKES-BARRE4: we’re constantly cleared from one point to another, vectored off the arrival, given direct-tos, and so on. Last time I went into TEB we were vectord off the arrival at least half a dozen times, given speed changes which were not published, and so on. Maybe there’s just no good way to put an arrival through these areas, I don’t know. I experience the same issue with the JANNY arrival, even though it will allow for a descend-via. They just never give it to me. It’ll be interesting to see if the new procedures are changed in response to the noise complains from communities which have filed lawsuits about the increased traffic over their homes. On the DSNEE arrival the’ll bring us down fairly low over the Anaheim Hills area after passing JWARD. Very nice article. Especially from the perspective of a competent if’s ga pilot who, while able to fly ifr has a challenge with these procedures that do not help the new to the area pilot. Forgive me for expecting that they are designed to reduce workload. Thanks Brock. In some cases they certainly *do* reduce workload. The IFR arrival and departure procedures are routings the controllers would otherwise have to give you manually in a clearance. In many (perhaps most, even) places you are typically given the “climb/descend via” instruction and allowed to fly the procedure as published. But not always. And that’s part of the problem. You can see the procedure and study it in advance. 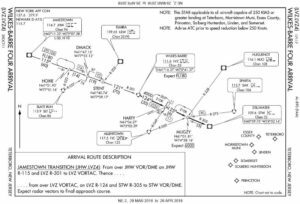 What you can’t figure out is wether ATC will allow you to fly that, or will start giving you vectors, altitudes, speed restrictions, and other busy work which makes flying the charted procedure more difficult — especially when operating single pilot. We need more information from the controller side. And it’s great knowing the DSNEE is part of the Metroplex re-design. They should have authors on them. The same person that designed DSNEE should get a crack at the WILKES-BARRE-4.